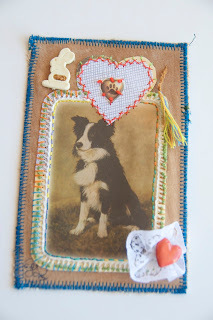 I recently took part in another fabric postcard swap with the theme 'Recycled' and received this lovely postcard. 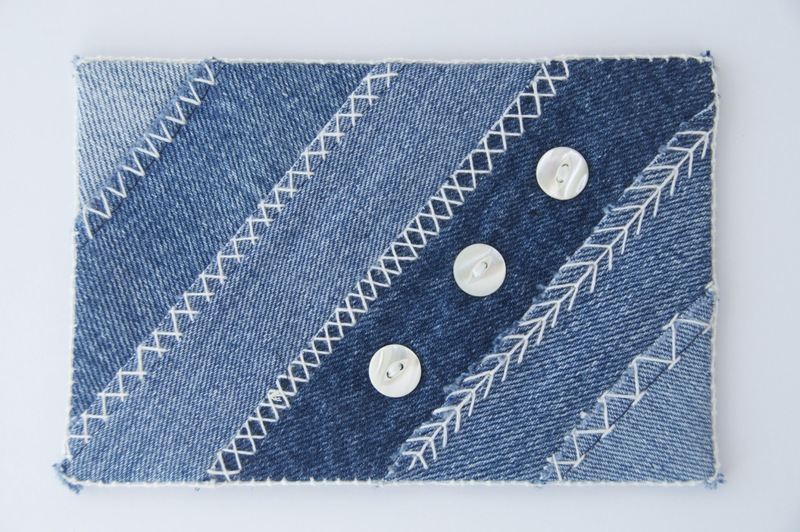 My effort was somewhat simpler - although hand-stitching into denim isn't easy, I managed to do it in an afternoon. A lovely postcard for your collection. 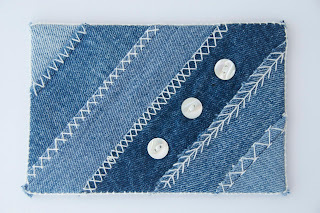 You were very brave to do the hand stitching on the denim but it is very effective, and very neat. What Emma said made me laugh. She obviously knows you too well!